Home Part-Time Admission Updates Direct Entry (DE) JAMB Regularization (2019/2020): Procedures, Price and Closing Date. Direct Entry (DE) JAMB Regularization (2019/2020): Procedures, Price and Closing Date. You're on the right page if you want answer to: Can I register for DE without regularization? Or you want to know if regularization can be done twice, requirements for it and what the indemnity form is like. If you are hearing about JAMB regularization for the first time, you may first consider reading my post, “JAMB Regularization Compulsory? Steps/Procedures for NYSC, DE and HND Admissions”. That post was more detailed than anything else online regards the exercise called JAMB regularization. However, the post you’re about to read means to answer questions applicants for Direct entry want answers to. 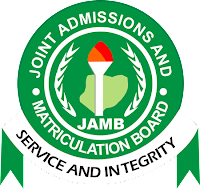 If you’re on this page because you want to check or verify JAMB regularization list, consider reading, “How to Check Matriculation List on JAMB Portal and Solutions to Issues”. What is JAMB Regularization for Direct Entry Applicants? The first question that comes to the mind a DE applicant hearing about regularization for the first time is, “is the regularisation for all application candidates seeking direct entry admissions? offered admission through JAMB but not by the school where they actually had their ND, NCE etc That’s a different school offered you admission on JAMB CAPs but you went to another school instead. If you fall to any of the situations above, kindly, in your own interest, do regularization before DE application. Those who don’t fall to any of the categories above, you don’t need JAMB regularization before proceeding with Direct Entry registration. In other words, you're given admission through JAMB and you had your NCE or ND at the school of offer, you don't need it. 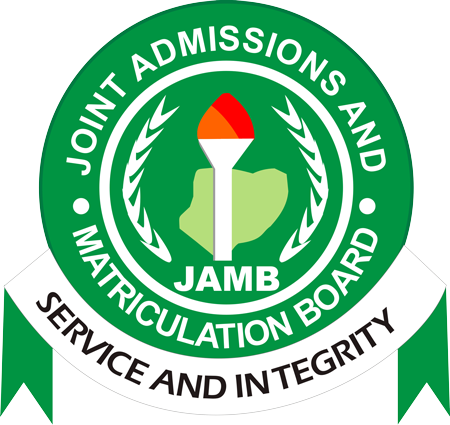 Do IJMB, JUPEB, NABTEB A’level or Cambridge Candidates Need Regularization? Those seeking Direct Entry admissions using their IJMB or any of the above mentioned advanced courses, will not be required to do regularization. Hence, they should just proceed to CBT centres to obtain e-PIN and register. When is the JAMB regularization starting? As a matter of fact, regularization is a continual exercise. In other words, no starting date or closing date. Just visit a café or CBT centre when you need to register and process it. How much is JAMB regularization? The official price is N10,000. This doesn’t include the online Remita charge and café or CBT service charge. Applicants should prepare around N12,000 for all. When is the JAMB regularisation closing? As earlier said, no closing date. It’s a round the clock exercise. However, since you need the registration because of DE application, you must register for it and take other processes on time and before DE closes. What are the Other Processes after JAMB regularization online? You must submit you printed slips called the JAMB regularisation indemnity forms; to the school where you had your ND or NCE for further processing. This school will sign and stamp their parts and send it to JAMB for confirmation and approval. JAMB should contact you through your email when the regularisation has been approved. Such message will contain your approved JAMB registration number. This, you will need during DE registration. Actually No. But there's a situation that can call for that. See the explanation below. If you'd done regularisation in the last two years, you might have used the latest method for the exercise. In this case, you can't or may not be able to re-register for regularisation. However, if you're had long done the exercise in about four years ago i.e before the current method, you may have to register it again to have your record with JAMB latest database. The point above affects some students who regularizations were done manually by their institutions. Such method is not allowed any longer. Registration has to be redone online.